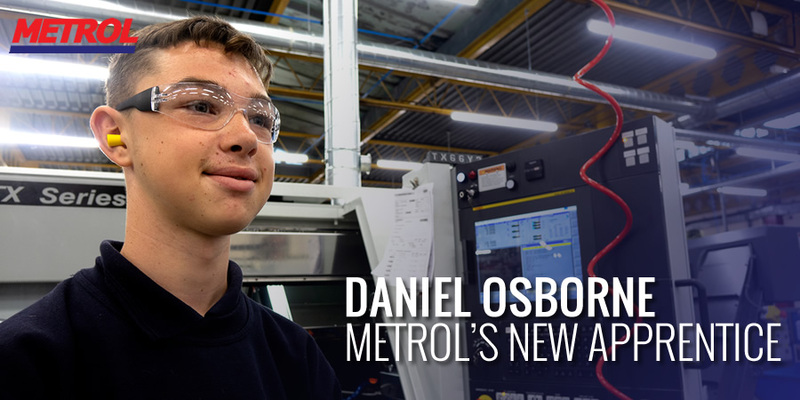 Daniel Osborne is the latest person to join the growing Metrol manufacturing apprenticeship scheme. Daniels four-year course will primarily be focused on CNC machining but will include all aspects of the gas spring manufacturing process including assembly, final inspection and shipping. The course is designed to give our apprentices qualifications in their key areas as well as a rounded knowledge of the whole manufacturing process here at Metrol. We welcome Daniel as a valued member of the Metrol team and look forward to assisting him in his career development.